The following is a brief summary of the complex events leading up to the battle of The Little Bighorn, the battle, and its aftermath. The Treaty of Fort Laramie in 1868 created a reservation consisting of that portion of the present state of South Dakota lying west of the Missouri River; the section of current-day eastern Wyoming east of the Bighorn Mountains and north of the North Platte River; as well as lands in Nebraska north of the Platte River were designated as unceded Indian territory. Its conservation did not last long. Gradual withdrawal of United States protection and the disappearance of game provoked disturbances with tribes in the area. The survey of the Northern Pacific Railroad route west from Bismarck, Dakota Territory, aroused further hostility in 1872. General Philip H. Sheridan, in command of the Army’s Department of the Missouri, determined to ease the conflict by establishing a fort in the reservation near the Black Hills. He visited Fort Laramie late in 1873, but found Indians there so opposed to the plan that he gave it up in favor of Fort Abraham Lincoln, Dakota Territory as the permanent base for regional operations. He ordered General Terry to send an expedition led by Lt. Colonel George A. Custer to do a general reconnaissance of the Black Hills, a move in direct violation of the 1868 treaty. Custer’s report of a gold discovery in the summer of 1874 brought many gold seekers to the Black Hills. This illegal settlement was checked by orders from General Sheridan to General Terry in order to prevent settlers from entering Indian lands. In March 1875, Professor Walter P. Jenney conducted an independent geological reconnaissance of the Black Hills under the protection of Lieutenant R.I. Dodge with a guard of four hundred men, and confirmed the presence of gold. A commission was appointed to meet with the tribes to gain possession of these lands, but long and patient negotiation resulted in failure. Prospectors were now pouring into the Black Hills, and by March 1876, eleven thousand white men had gathered in Custer City. The tribes believed that the only way by which they could preserve their rights was to make war. At this time Crazy Horse, American Horse, Gall, and Sitting Bull were encamped along the Powder River. 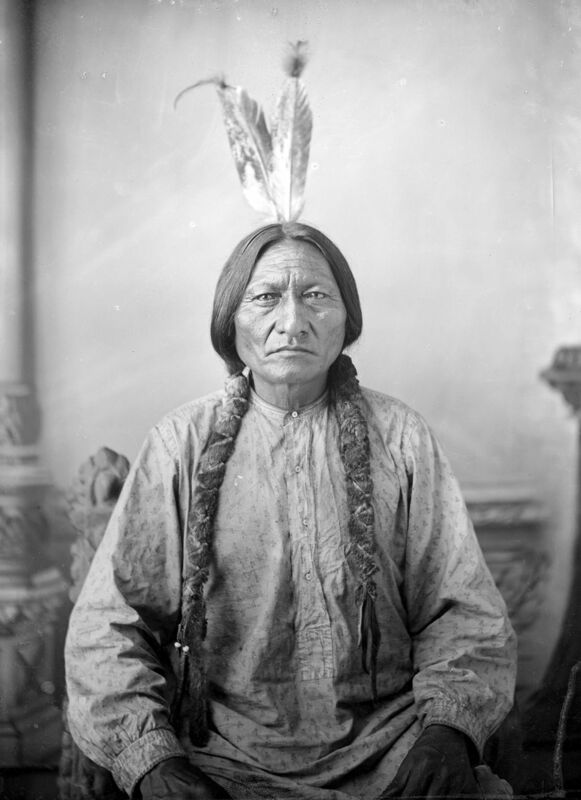 Red Cloud and Spotted Tail remained at their agencies, but their warriors gradually slipped away, presumably on buffalo hunting expeditions, which they had a perfect right to do under their treaty. In December the agents were instructed by the Commissioner of Indian Affairs to send messengers to all the Indians, asking for their return by the end of January. If they failed to obey, they were to be treated as hostiles.